As you walked off into the night, you replayed the events that just happened in your head. 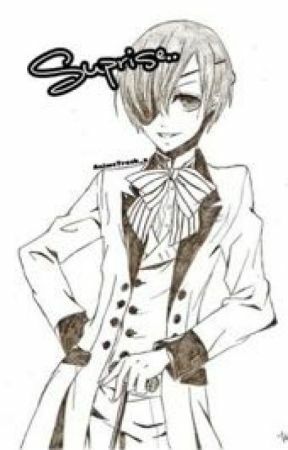 You heard Ciel yell at his little demon butler, Sebastian, to come and catch you. &apos;This will be fun,&apos; you thought and smirked. You turned to find the crimson  eyed demon right infront of you. You looked up, smiled, turned and kept walking. "Milady, I am afraid you won&apos;t be going much farther, I was was ordered to kill you," Sebastian said calmly. "Ha, give it your best shot," I said, a smirk still plastered on my face. He threw them at me and I quickly dodged them. He tried this a few more times before noticing he would have to try a little bit harder than usual. I stared at this young girl, noticing every move I would make she would dodge it. I guess she is a bit more experienced. I used method by method and nothing seemed to work. I turned to Bocchan, a annoyed look on his face. "Hurry up will you! I don&apos;t have all day!" Bocchan yelled at me. 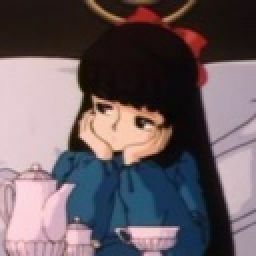 "Yes.. *sigh* Bocchan," I said, getting tired of this girl already. "Aw, is the demon tired of his master already?" The girl said, that got my attention. "How do you know I&apos;m a demon?" "I&apos;m not that stupid thank you very much!" She said loudly. "Your moves, your appearance, just everything about you is obvious. Anyone could see it really, well if they have seen a demon before that is," she explained. Then something seemed off, ciel was yelling frantically, the girl seemed to have disappeared, and I was on the ground, not knowing exactly what just happened.